The stakeholder forum of the Federal Ministry for Economic Cooperation and Development with the topic „Wasser. Mit Sicherheit! Für alle.“ („Water. Certainly. For all“) took place in Berlin on the 21st of March. The projects WELLE and InoCottonGROW were presented within the break-out session „Environment and climate – sustainability of the production and consumption“. The following discussion included potentials and limitations of the water footprint method as management tool for politics and industry. Both projects focus on the implementation and enhancement of the water footprint method, which serves as a tool to model and quantify impacts associated with the water use along the product life cycles and supply chains. Prof. Finkbeiner will be the new Editor-in-Chief of the "International Journal of Life Cycle Assessment" starting January 2020 and thus the successor of Mary Ann Curran. In cooperation with Dirk Gratzel, a software entrepreneur from Germany, the team at the Department of Sustainable Engineering (SEE) calculated his life’s environmental footprint, meaning the resources consumed and emissions related to all his life activities (eating, travelling etc.) since birth. Results from Mr. Gratzel’s “Life-LCA” were covered by the press at the U.N. climate summit (COP24), taking place this week in Katowice, Poland . Similar articles appeared in the New York Times, Washington Times, Taiwan News and The Hindu. SEE will continue its work with Mr. Gratzel to work out options for him to reduce his environmental footprint and live a more sustainable life. 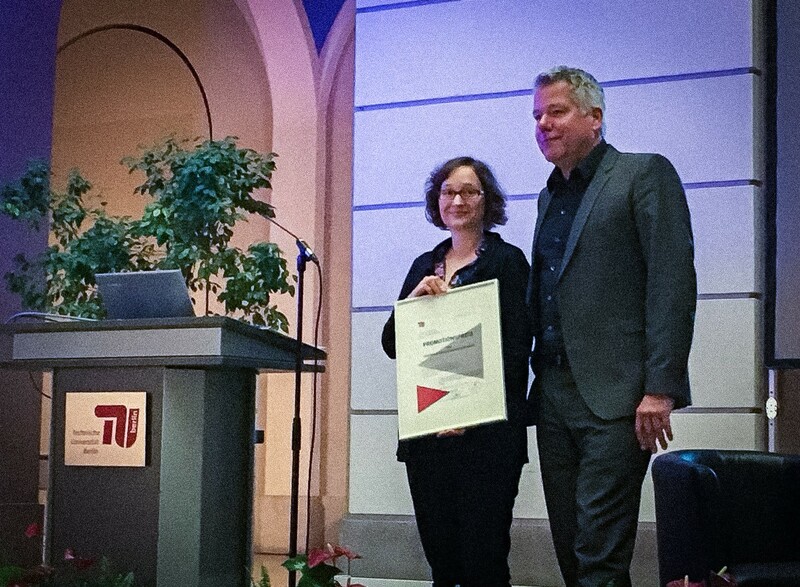 Vanessa Bach received the doctoral prize for junior scientists of the Faculty III with her doctoral thesis on "Assessment of abiotic and biotic resource use for products and regions in the context of sustainable development". Goal of this project – supported by the Life Cycle Initiative and coordinated by the Social LC Alliance and the Chair of Sustainable Engineering (SEE) at TU Berlin – is an update of the S-LCA Guidelines, which were published in 2009. The project consists of 2 phases: In the first phase the SLCA-Guidelines are revised, considering and incorporating methodological advancements and practical experiences gained over the last 10 years. Amongst others this includes the integration of the framework for Social Organizational LCA (SOLCA) developed by SEE. In the second phase, the updated guidelines will be roadtested, i.e. applied to a range of products and organizations. of the Research In Engineering Design journal. At the end of the PEF pilot phase, FG SEE conducted a comprehensive analysis of the pilot phase and the published documents to answer the question of whether PEF leads to better comparability of products and which challenges still need to be addressed in the transition phase. The results of the project “Water Footprint of German and European imports of agricultural products: trends and development in the context of water scarcity” , which was conducted together with the NGO “Bread for the World”, are published in a leaflet. 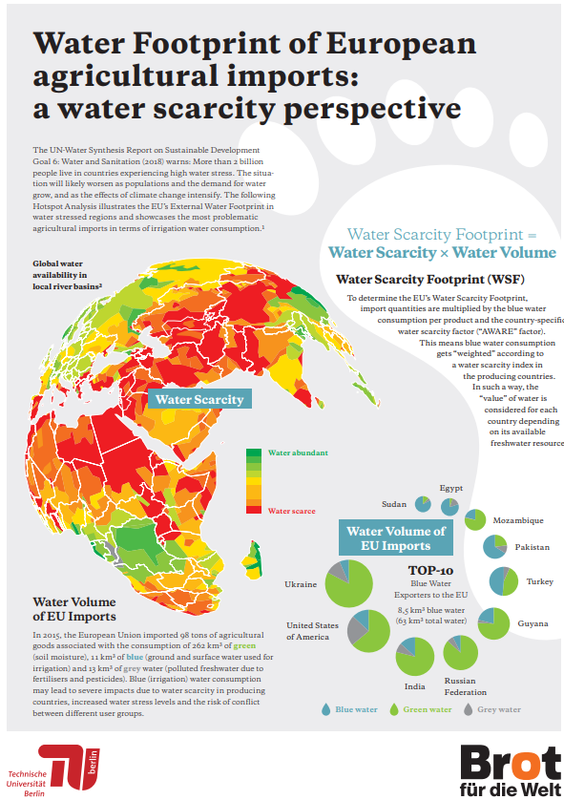 It identifies hotspots for the European imports on the product and country level, gives an overview on water related problems in selected countries and highlights the issues of rights priorities of diverse water users. Nikolay Minkov und Vanessa Bach recently published two articles that examine the performance of the Cradle to Cradle Certified™ Products Program (C2C). The two criteria-based evaluations focus first, on the investigation of C2C as a tool for external communication and second, on its ability to robustly determine the environmental performance of certified products. This work aims at providing a critical, yet scientifically-plausible and neutral review of the C2C method, as the Program becomes more and more popular lately. The ESSENZ method (www.see.tu-berlin.de/ESSENZ ) developed within a BMBF project to assess resource efficiency of products has been used for the environmental certificate of cars and will be applied to enhance the sustainability strategy of Daimler. Further information is available here . Prof. Matthias Finkbeiner and Christoph Koffler published an article about the challenges in end-of-life modelling in LCA and presented options for adequate calculation of recycling credits in open-loop and closed-loop situations. The paper should represent a stimulus to a productive and lively debate on the matter. The project RessMob was launched on the 1st of October 2017. The aim of this research project is to develop an LCA compatible approach for the assessment of the use of biotic and abiotic resources including water and soil which is applicable to all kinds of products and services. This assessment method will be exemplarily applied and tested for different alternative mobility options, in order to demonstrate its both practical feasibility and scientific robustness. Further information is available here . Vanessa Bach and her colleagues developed a method to assess criticality of abiotic resources and raw materials on regional level. 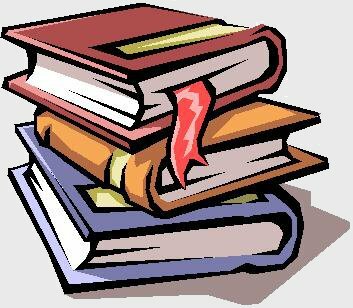 The method is applied to a case study of Germany. Call for papers for the Special Issue "Life Cycle based Assessment Tools for Water Consumption and Management"
Prof. Matthias Finkbeiner, Dr. Masaharu Motoshita and Dr. Markus Berger work as Guest Editors on a special Issue with the titel „Life Cycle based Assessment Tools for Water Consumption and Management“ for the international, open-access Journal „Water“. The call for paper is intended for scientists and practitioners dealing with methodological developments and case studies covering the broad range of water footprint approaches . Deadline for manuscript submissions is 31.12.2017. The project InoCottonGROW was launched on the 3rd of April 2017. It is a collaborative project of 26 partners from Germany, Pakistan and Turkey and aims at contributing to a sustainable water use along the cotton-textile value chain. The main goal of the chair Sustainable Engineering is to enhance Water Footprint to a region specific management tool for political decision-makers, textile manufacturers and consumers. More information is available on the project webpage inocottongrow.net. Peter Tarne and colleagues conducted a structured literature review on the state of the art of Life Cycle Sustainability Assessment (LCSA). Their results were combined with an analysis of the state of LCSA implementation in the automotive industry and at an automotive company to derive the primary research needs for putting LCSA into practice. Vanessa Bach and her colleagues developed a method to assess the availability of terrestrial biotic materials in product systems. The method is applied on a case study regarding biofuels. The Book “Special Types of Life Cycle Assessment” by Prof. Finkbeiner (Editor) has just been published by Springer. This book presents special types of and emerging tools for LCA such as water footprinting and organizational LCA. Sabrina Neugebauer and colleagues recently developed a method for assessing fair wages within the social life cycle assessment framework. Accompanied they developed a first database providing secondary wage data and characterization factors. The final dissemination event of the H2020-funded MEASURE project took place on 2nd March 2016 in Berlin. The ultimate goal of the project was the development of a Roadmap for sustainability assessment of the European process industries, which was presented at the event. SEE was an active member throughout the whole project and co-author of the Roadmap. 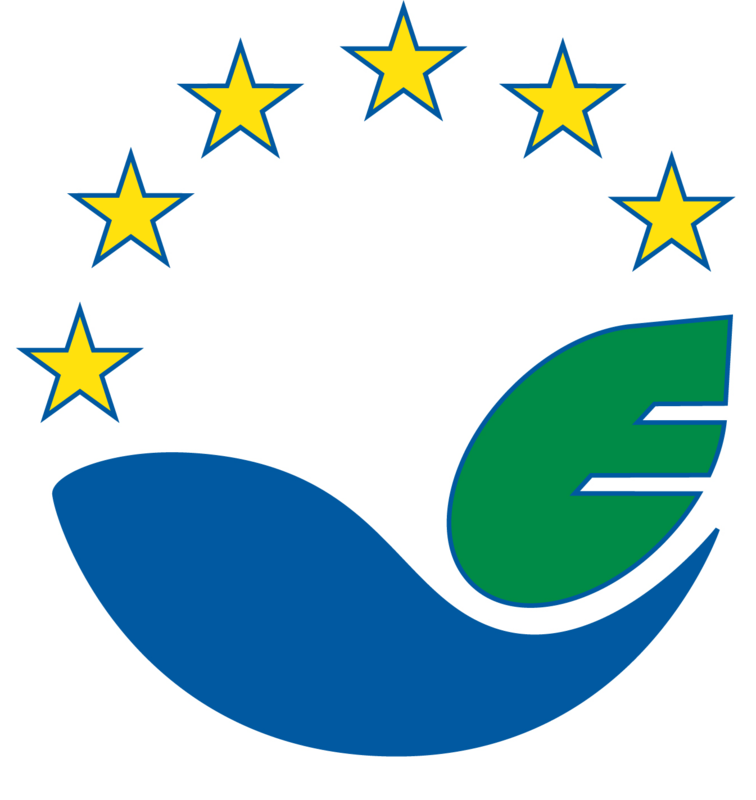 The electronic version of the document, together the respective background documentation will be available on the project’s webpage (www.spire2030.eu) from 1st April 2016. On the 15th October 2015, the International EPD® System published the Product Category Rules (PCR) for lifts, according to ISO 14025. Launched in May 2013, the process took over 2 years, consisting of several physical workshops and open stakeholder consultations. The development course and document preparation was led and moderated by Nikolay Minkov of the Chair of Sustainable Engineering (SEE). The European Lift Association (ELA) – the voice of the European lift industry – participated actively in the process. Ultimately, the PCR for lifts represents an agreement between lift manufacturers, component producers, consultancies and academia. 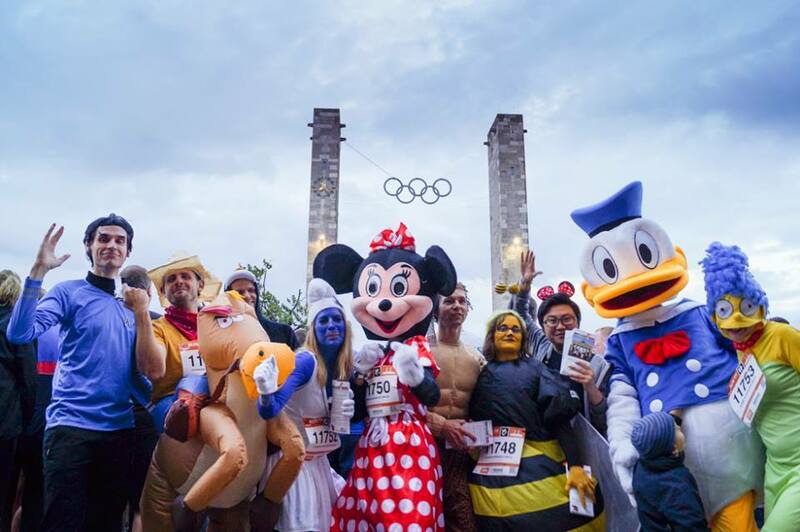 We ran for kids and thanks to our many supporters we achieved in sum 10,420 € directly donated to Akut-Hilfe e.V. The chair of Sustainable Engineering says THANK YOU! ...under the condition, that 10,000 € are donated to support the organization "Acute support for children and adolescents in Lebanon". This non-profit association organizes and (co-)finances the medical treatment of seriously ill children in Lebanon who otherwise wouldn’t have access to medical care. Markus Berger and colleagues recently published a study on the carbon and water footprint of European biofuel consumption. The article published in the scientific journal Sustainability (open access, download here) reveals the large volumes of irrigation water needed to produce biofuels in partly water stressed regions around the world. Especially small shares of bioethanol derived from sugar cane in Egypt (0.7%) and biodiesel produced from sunflower seed in Spain (0.9%), dominate water consumption related impacts resulting from European Biofuel consumption. Prof. Matthias Finkbeiner has been once again elected as the Chair of the ISO committee for Life cycle assessment for the next three years. On 28th April 2014, the International EPD® System published two new PCRs (according to ISO 14025). Both documents were developed by the Chair of Sustainable Engineering (SEE) in cooperation with different companies of the sector (oil processors). The documents are the first of their kind, as both were prepared in conformity with the Guidance for PCR development (published in August 2013). Markus Berger and colleagues recently published a new method for the accounting and impact assessment of water consumption along product lifecycles. The article „Water Accounting and Vulnerability Evaluation (WAVE): Considering Atmospheric Evaporation Recycling and the Risk to Freshwater Depletion in Water Footprinting” was published in the scientific journal Environmental Science and Technology: dx.doi.org. Gerhard Brankatschk and Professor Matthias Finkbeiner recently published a paper in Journal of Cleaner Production entitled „Application of the Cereal Unit in a new allocation procedure for agricultural life cycle assessments“, which can be found under: dx.doi.org. Dr. Julia Martinez-Blanco et al. recently published a paper in Journal of Cleaner Production entitled „Application challenges for the social LCA of fertilizers within Life Cycle Sustainability Assessment“, which can be found under: dx.doi.org. „Indirect land use change: Help beyond the hype?“, which can be downloaded under: dx.doi.org. Prof. Finkbeiner has successfully published an editorial regarding the Product Environmental Footprint of the EU Commission in the International Journal of Life Cycle Assessment. On 14th November 2013, the International EPD® System (environdec.com)launched the open stakeholder consultations of two new PCRs (based on ISO 14025). Both draft documents are developed by the Chair of Sustainable Engineering (SEE) in cooperation with different companies of the sector (oil processors). SEE is author of the background critically-reviewed LCA study, used to develop the PCRs (Fediol.eu), and also moderator of the whole PCR development process (according to ISO 14025). Prof. Finkbeiner was invited as the Editor-in-Chief of the Innovative Energy Policies Journal (IEP). The report of the LCA study for steel, which deals with the evaluation of recycling within the steel life cycle, is now published on the webpage of the Stahl-Zentrum. The study aimed at developing a new methodology for taking into account recycling processes within the LCA of steel. In addition the study was critically reviewed by a review-panel to ensure ISO compliance. The scientific paper “Water Footprint of European Cars: Potential Impacts of Water Consumption along Automobile Life Cycles“ published in the journal “Environmental Science and Technology” won the 2012 award Second Runner-Up Best Article in the category environmental technology. Thus, the paper written by Markus Berger, Jens Warsen, Stephan Krinke, Vanessa Bach and Matthias Finkbeiner belongs to the Top 15 out of 1,640 publications in “Environmental Science and Technology” in 2012. For further information visit pubs.acs.org . The German federal environmental minister Peter Altmaier once again appointed Prof. Dr. Matthias Finkbeiner for the Blue Angel Jury. The first meeting of the new Jury took place 14th of March 2013 in Berlin, welcomed by the secretary of state Katherina Reiche. The Jury represents environmental associations, consumer organizations, trade associations, communities as well as media and scientific organizations. It is the independent committee of the Blue Angel label. 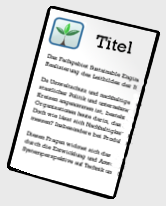 Currently the label is available for 125 product groups, considering climate, environment and health, resources and water. At the moment 11,700 products and ca. 1,380 companies are labeled with the Blue Angel. launch of a Scientific Council for the Specialty Feed Ingredients Sustainability Project (SFIS). Prof. Finkbeiner will take the position of the Chairman of the SFIS Scientific Council. 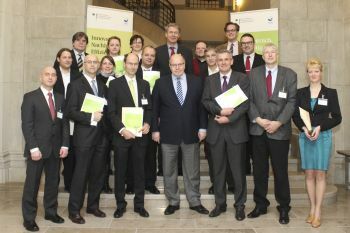 Prof. Finkbeiner was invited at the 13th December 2012 as a member of the EMAS-Award-Jury from the German environmental minister Altmaier to discuss the EMAS-Regulation. Prof. Finkbeiner was invited to join the Editorial Board of the Journal of Environmental Accounting and Management. On November 29th 2012 this year's EMAS-Award will be handed out in Brussels. Professor Finkbeiner will be part of the jury. In current International Journal of Sustainable Engineering, Professor Finkbeiner provides a glimpse into the future of LCA within the ISO standard, titled From the 40s to the 70s, the future of LCA in the ISO 14000 family. For further information please clickhere. An editorial titled LCA’s theory and practice: like ebony and ivory living in perfect harmony? 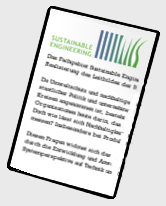 with the participation of Professor Finkbeiner was published by The International Journal of Sustainable Engineering. The International Journal of Sustainable Engineering has published an article by the chair of sustainable engineering concerning Carbon footprint of recycled biogenic products: the challenge of modelling CO2 removal credits. Ecomobility.tv has published a short documentation on LCM 2011. The LCM 2011 Conference Book: Towards Life Cycle Sustainability Management by Prof. Finkbeiner (Editor) has just been published by Springer. This year we are the organizer of the Life Cycle Management conference “LCM 2011 - Towards Life Cycle Sustainability Management”. The Life Cycle Management conference series is established as one of the leading events worldwide in the field of environmental, economical and social sustainability. The unique feature of LCM are practical solutions for the implementation of life cycle approaches into strategic and operational decision-making. LCM 2011 brings you up to date on the latest international developments and provides a platform for sharing your accomplishments. Just like its highly successful predecessor events in Zurich (2007) and Cape Town (2009) LCM 2011 will again feature a powerful technical program, as well as special sessions on selected topics. The concurrent exhibition will facilitate the presentation of state-of-the-art technological services and equipment to an interested audience of international decision-makers from science, industry, NGOs and public bodies. Prof. Finkbeiner was invited to join the Advisory Board of the New Zealand Life Cycle Management Centre. Congratulations! For more information: click here . Matthias Finkbeiner, Erwin M. Schau, Annekatrin Lehmann und Marzia Traverso have published an article with the title Towards Life Cycle Sustainability Assessment in the journal Sustainability . For more Information, see publications or download the article here for free. Prof. Finkbeiner was appointed member of the jury which awards the blauer Engel. Congratulations! An Article named The CO2-Footprint was published in a Vienna Newspaper. It describes the climatic balance for food, which was developed at the chair of sustainable engineering. Read the article here for free. M. Berger and M. Finkbeiner have published an article with the title Water Footprinting: How to Address Water Use in Life Cycle Assessment? in the journal Sustainability. For more information visit publications or download the full article without charge here .